SEOUL, South Korea – A Christian missionary from the U.S. has entered North Korea carrying a letter to leader Kim Jong Il in order to call attention to the tens of thousands of political prisoners believed held in the communist state, an activist said Saturday. 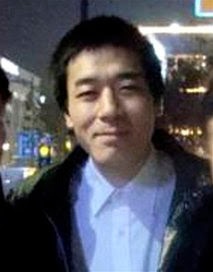 Robert Park, a 28-year-old Korean-American, crossed the frozen Tumen River into North Korea from China on Christmas Day to urge Kim to release political prisoners and shut down the "concentration camps" where they are held, said the activist, who spoke on condition of anonymity, citing the issue's sensitivity. "I am an American citizen. I brought God's love. God loves you and God bless you," Park was quoted by two activists as shouting in Korean as he crossed the North Korean border, according to the activist who spoke to The Associated Press. North Korea holds some 154,000 political prisoners in six large camps across the country, according to South Korean government estimates. The North has long been regarded as having one of the world's worst human rights records, but it rejects outside criticism and denies the existence of prison camps. North Korean state media did not mention any illegal crossing. The country's criminal code punishes illegal entry with up to three years in prison. "Please open your borders so that we may bring food, provisions, medicine, necessities, and assistance to those who are struggling to survive," said the letter, according to a copy posted on Pax Koreana's Web site. "Please close down all concentration camps and release all political prisoners today." North Korea is expected to react strongly because Park raised the issue of its political system, said Koh Yu-hwan, a professor at Seoul's Dongguk University. Demanding Kim step down is "a kind of hostile act" and "the North won't likely compromise on such an issue," Koh said, predicting it will take time to resolve. The U.S. Embassy in Beijing said it is looking into Park's case, but it had no details. "His fate to us is unknown," said embassy spokeswoman Susan Stevenson. She said a charitable organization, which did not identify, had notified the State Department in Washington of Park's actions. "I would not go to North Korea to live. Even if I die, world leaders should really repent for keeping silence" on North Korea, Park said in Seoul before leaving for China, the activist said. In August, North Korea released two U.S. journalists it had sentenced to 12 years of hard labor for trespassing and "hostile acts." Their release came amid a trip to Pyongyang by former President Clinton aimed at winning their freedom. Park's reported entry comes weeks after North Korea held one-on-one talks with the United States and signaled its willingness to return to international negotiations on ending its nuclear weapons programs. Pyongyang said earlier this month it would try to resolve remaining differences with Washington.